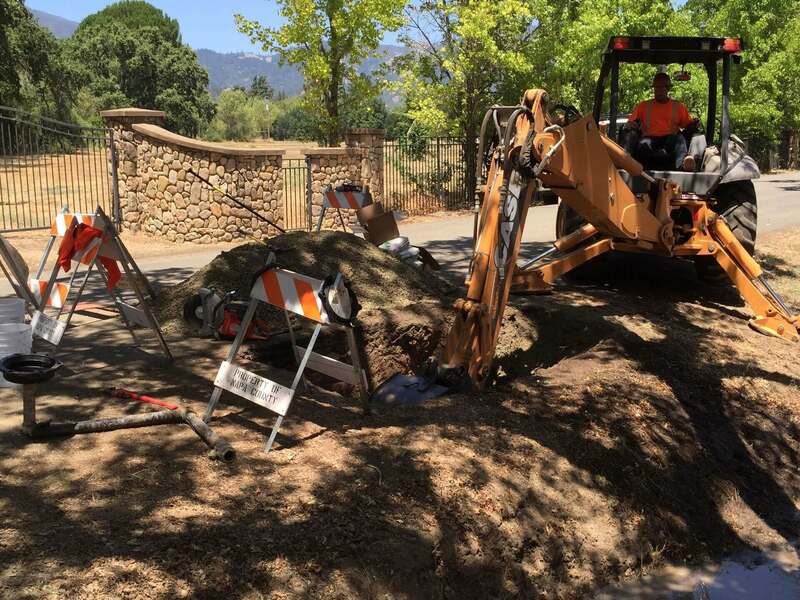 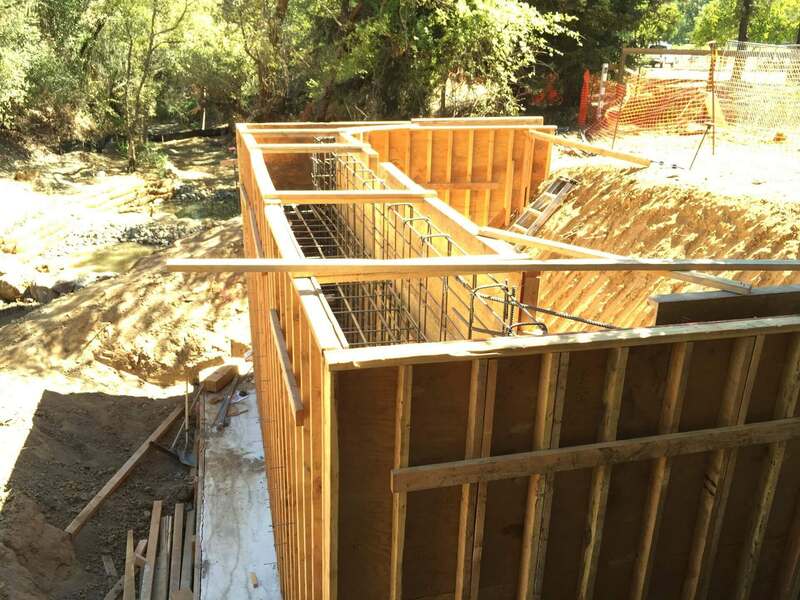 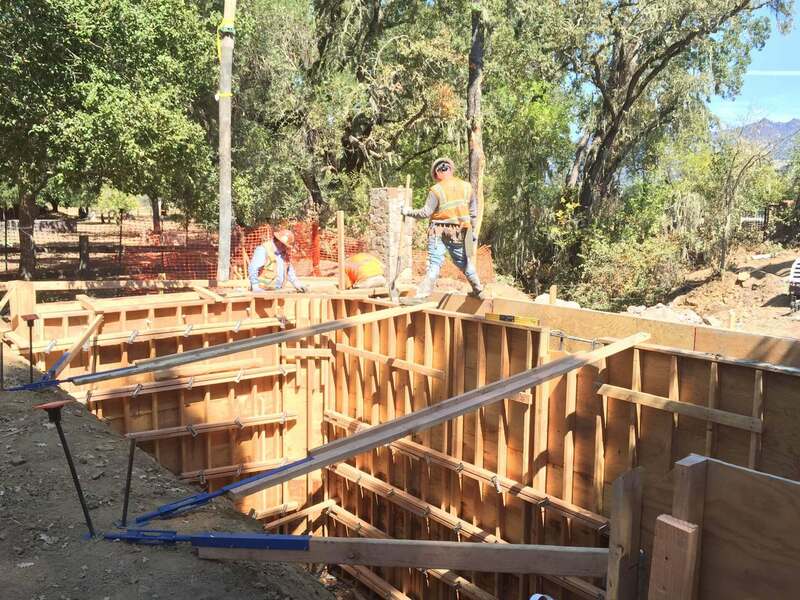 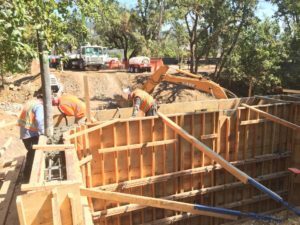 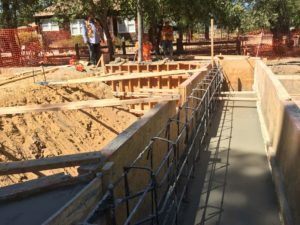 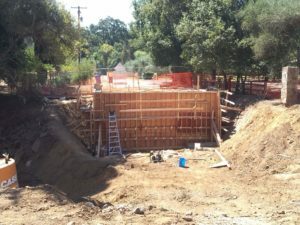 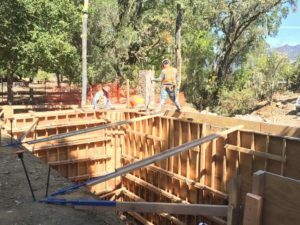 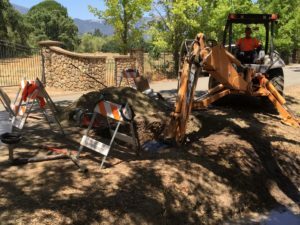 The County of Napa required the emergency repair two Soldier Pile Retaining walls from damaged caused by the Nuns Fine in Napa County on Redwood Rd. 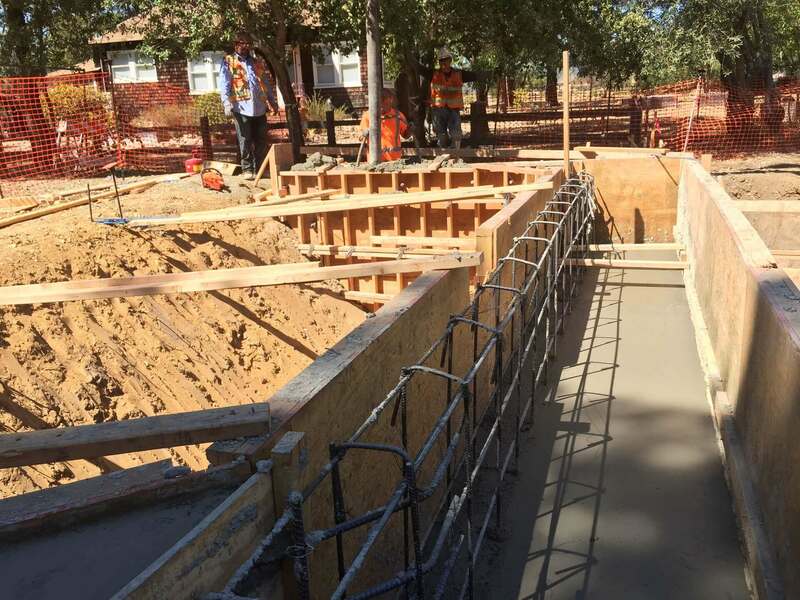 Emergency repair services included replacing burnt, damaged Timber Lagging, with new lagging, backfilling with drainage rock, and recoating any damaged tie-backs with a coal-tar epoxy coating. Project challenges include a one-way access with tight roads, limiting the trucking mobilization to small truck and trailers, and requiring smaller equipment to complete the project than would normally be utilized.